We all know that Cayde-6 is going to die. It’s been the primary point of Destiny 2’s Forsaken expansion since E3 2018, when a shocking trailer showed Prince Uldren Sov putting a bullet into Cayde’s head with his own gun. Uldren and the Scorn Barons are villains that players will love to hate, but we’ve long wondered how Cayde landed himself in a predicament where he was weak enough to be killed. How does Cayde-6 die? Thanks to Bungie releasing the Cayde’s Last Stand cinematic today at gamescom 2018, we now know every last leap, bang, and crash of the Hunter Vanguard’s final moments. You’ll also get a chance to hear Nolan North as he voices Cayde. While he does a pretty good Nathan Fillion impression, there are moments where it’s undoubtedly North speaking. Fillion has usually voiced Cayde-6, but was unavailable for this expansion due to other conflicts in his schedule. Bungie warned fans ahead of time that this cinematic is full of spoilers for anyone that wants to go into Forsaken completely blind. With that message, it’s likely that this cinematic will be part of the opening campaign mission, coming right at the end after we’ve worked our way through a broken Prison of Elders. Destiny 2: Forsaken – How Does Cayde-6 Die? The exciting cinematic shows the brutality of the Scorn, the cunning nature of the Barons, and gives us a chance to see Cayde in action, utilizing all of the Hunter tools that he has at his disposal. He makes an impressive last stand, but it doesn’t prove to be enough and he is soon overwhelmed after a well-placed sniper shot shatters his Ghost into pieces. We already saw where all of this led back at E3. Cayde’s dead, and we’re on a mission for revenge. With less than two weeks left to go until Destiny 2: Forsaken launches, Bungie is heavily promoting the experience that lies just around the corner. To prepare for the expansion, the studio announced that the PvE/PvP hybrid mode, Gambit, would be free to all players for one day on September 1, 2018, just ahead of Forsaken’s release. It’s a smart move on their part, because Gambit is an addicting game mode that brings something completely new to Destiny. If you’re on the fence about the expansion, a few games of Gambit will quickly change your mind. How does Cayde-6 die? With a style and grace befitting the charm and personality that we’ve come to know and love. 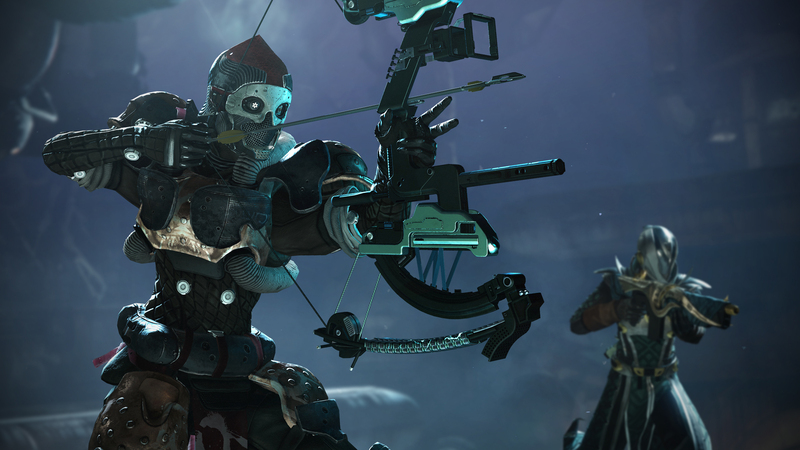 What did you think of Cayde’s last stand? Were you glad to see that the Exo Hunter went down in his classic fashion, wisecracking and making an impressive showing of the tools at his disposal?